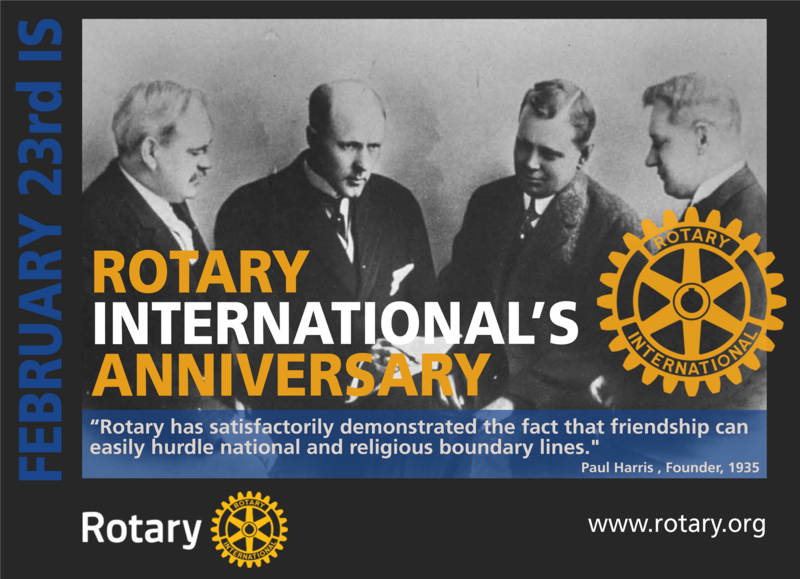 February 23rd 1905, Rotary International was started by Paul Harris. Every year this date is celebrated as the Anniversary of Rotary. For a century plus, Rotary members have created access to education, empowered communities, pushed polio to the brink of eradication and improved lives around the world.